Successful Teams Achieve Through Individual Commitment! Shock..Shock..Shock'em STATIC..yOu kNoW!!! 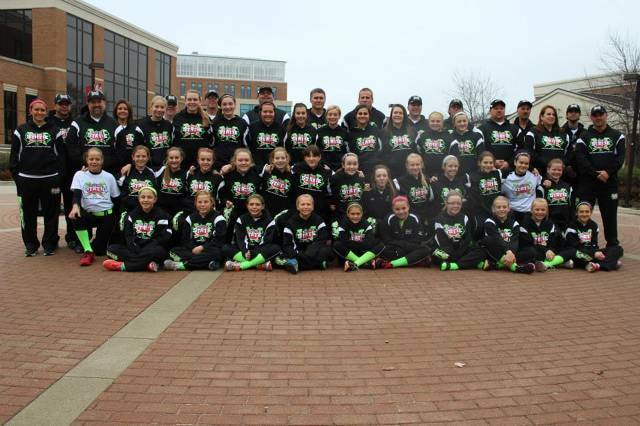 The Cincy Static Neon players, coaches and parents visited IWU for a day filled with playing games indoors, eating with the students, touring the campus and getting excellent advice from collegiate players and coaches. 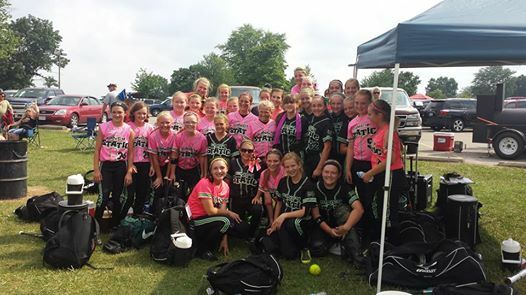 Our teams were 6-0 on the day...Great job ladies!!! 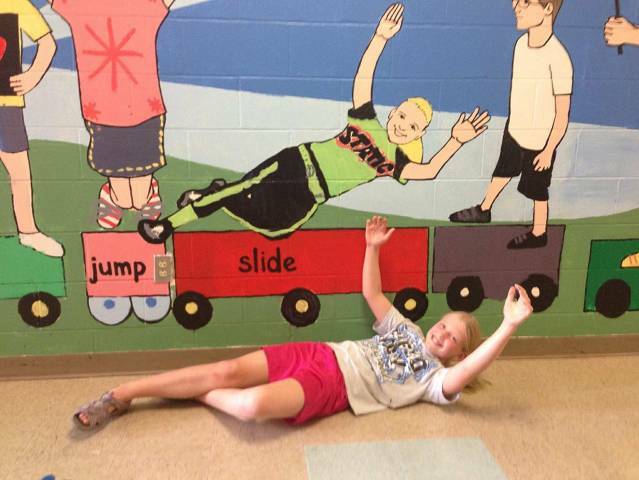 Macy K. from our 10U team paints a beautiful mural on her schools wall...GREAT sliding technique! 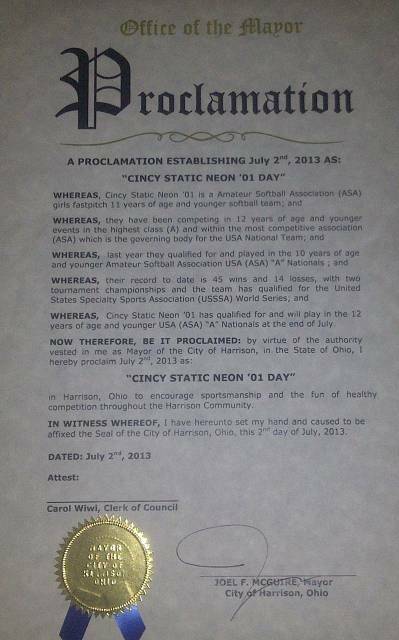 WE ARE...STATIC! WE ARE...STATIC!! 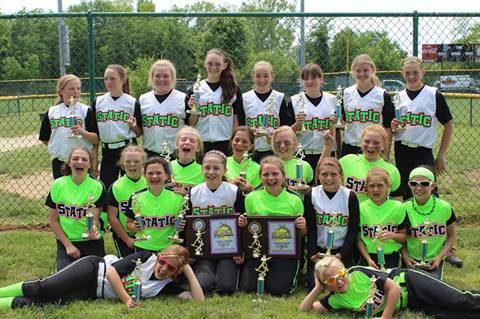 WE ARE...STATIC!! !Shock...Shock...Shock'em STATIC...yOu KnOw! 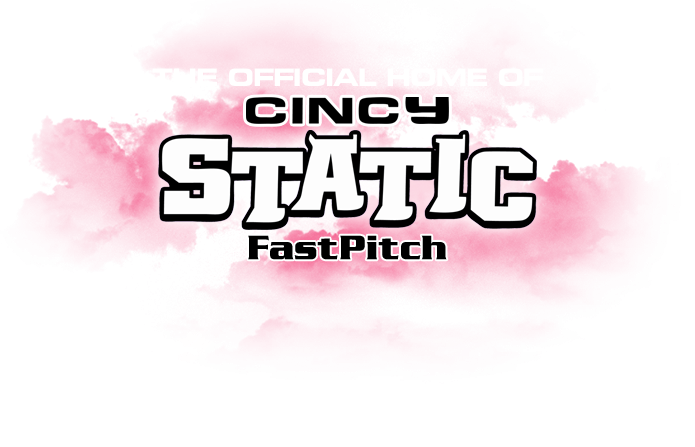 Cincy Static Fastpitch is a Travel/Select brand that was born in August of 2006 when we held our first tryouts for the 2007 season. Our core philosophies are fairly simple. An organization is only as strong as the people it is comprised of. We are very particular about who we allow to coach our teams. Our coaching staff consists of very experienced coaches and collegiate stand outs. 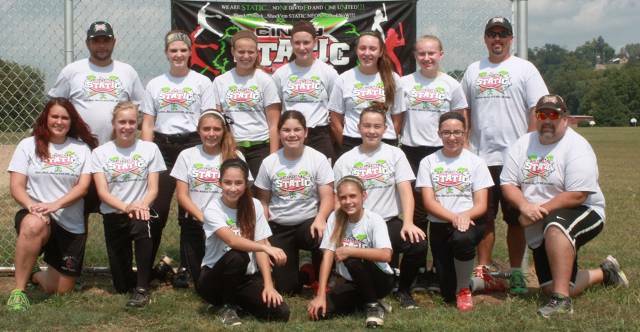 We have affiliations with the most sought after pitching and hitting instructors in the area. Our goal is to not only continue to develop stellar athletes who go on to play at the next level but more importantly to develop quality human beings and productive citizens who value honesty, loyalty and integrity. Many important life lessons are learned through competition and "competition breeds success"! We stress the importance of our players possesing what we call "the three A's", ATTITUDE(a good one), ACADEMICS(good grades)and ATHLETICISM (talent)! These three attributes are required in a player that seeks to garner a collegiate scholarship. 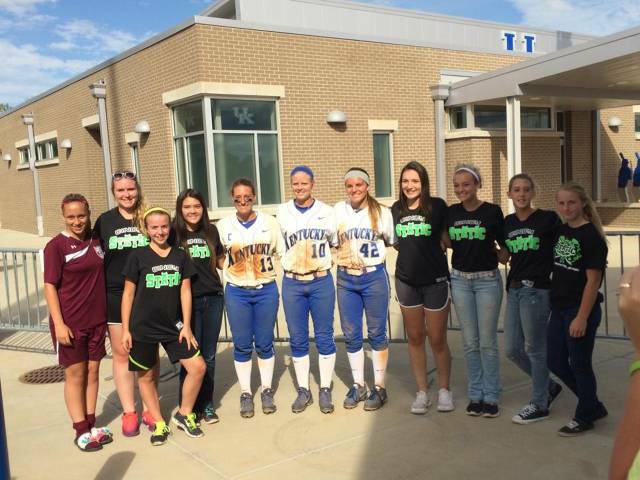 Ultimately it is our goal to help these ladies in their efforts to receive a great collegiate education while playing the sport they love! "Successful Teams Achieve Through Individual Commitment"